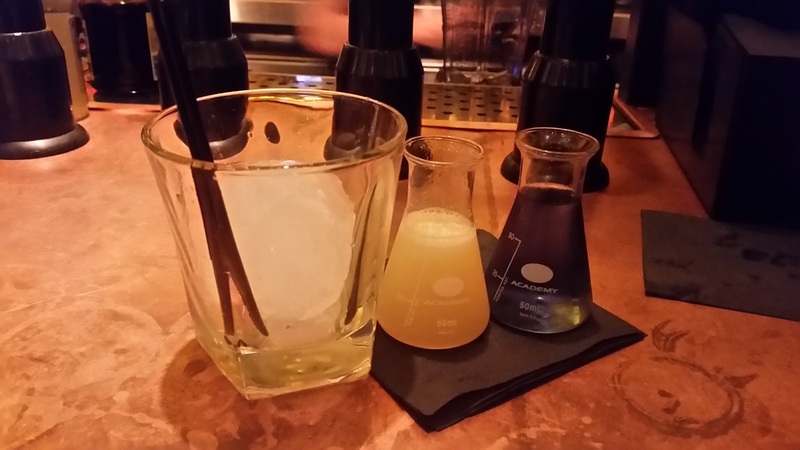 Mummy Of 3 Diaries: Mat Hatters Tea, Light Bulb Moments & Mojito with a Twist - The Alchemist has come to Birmingham! Mat Hatters Tea, Light Bulb Moments & Mojito with a Twist - The Alchemist has come to Birmingham! 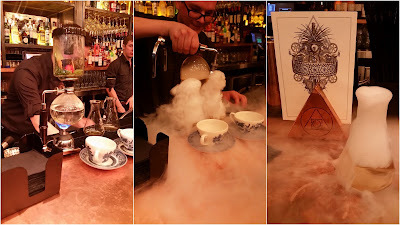 I am so excited to say that the Alchemist is here in Birmingham and officially opens on Monday September 26 but I was invited for an amazing sneak peak last week. If you don't know who the Alchemist are then you're in for a real treat. The Alchemist are a cocktail bar & restaurant that celebrates molecular mixology, alchemy and craftsmanship. Drinks are served in all manner of vessels with theatre and panache served morning, noon and night. 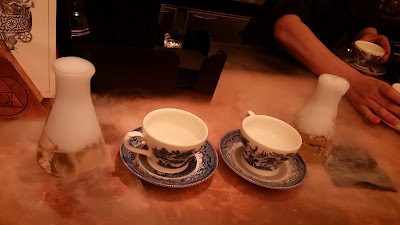 Changing colours, changing flavours, dry ice, hot and cold sensations and elements of nostalgia can all be found within the four walls of the menu. I have to say, it's one pretty impressive menu! There's loads of new cocktails as well as some old favourites too but even they aren't served like you're used too. Everything comes with a unique twist so whatever you order, be prepared for a show. I have never seen anything quite like this place but am so glad that's it here. It's quirky yet classy and so so much more. It's definitely my kind of place and i can't wait to go back with all my friends. It's a real show stopper. For me the biggest show was served up with their Mad Hatters Tea. Oh my gosh, this was amazing, the sights, the smells and the tastes were all out of this world. I've never tried anything quite like this but would 100% do it again. It has the highest price tag on the menu at £20.50 but that price included Tea for Two so really it's only £10.25 a cup. You get to watch them boil it, infuse it and then pour it yourself. The smell of mint is so good, it sweeps across the bar with the smoke in such a dramatic way. I could have ordered it several times just to watch them make it all over again. The bar staff here are pretty impressive. Seeing as I was there to check out the cocktails, that's just what I did and wow did I have fun. I tried everything from their Pornstar Martini to their chocolate topped Solero. There's really strong cocktails and lighter fruity cocktails. Cocktails topped with chocolate foam and cocktails over filled with bubbles. Some had huge balls of ice in the middle whereas some were made using dry ice. Every single cocktail was different and unusual in some way. I loved the whole element of surprise, each time I went to the bar, I just never knew what I was going to be served with. I've never enjoyed ordering a cocktail so much before. One of my favourites was their 3.5 Oz of Happiness which comes ready made in a chilled Hip Flask which you get to keep. This is such a lovely idea as it means you then get a cool memento to take home and keep forever. Mine is now sat on my bedroom side where it will always remind me of that night and all the enjoyment that came with it which is lovely. I am so excited about this place, it has such a funky vibe with a relaxing atmosphere. 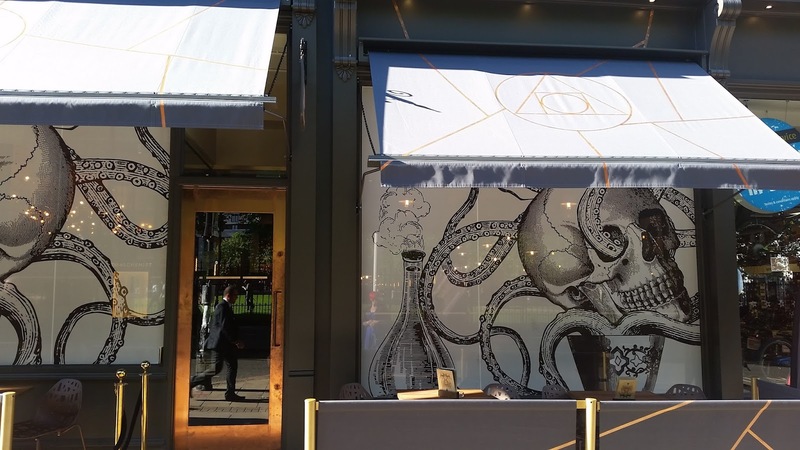 The Alchemist Birmingham is located on the ground floor of the newly refurbished Grand Hotel on Colmore Row. The location is perfect as it's just a few minutes walk from New Street station and also on Snow Hill Stations doorstep. From your first drink to your last, you won't be disappointed. The bar staff are so talented and so friendly too. They'll do everything possible to make sure you love every cocktail and have a fantastic night or day. I had an amazing time on my visit and will so be going back with my girls when it opens. 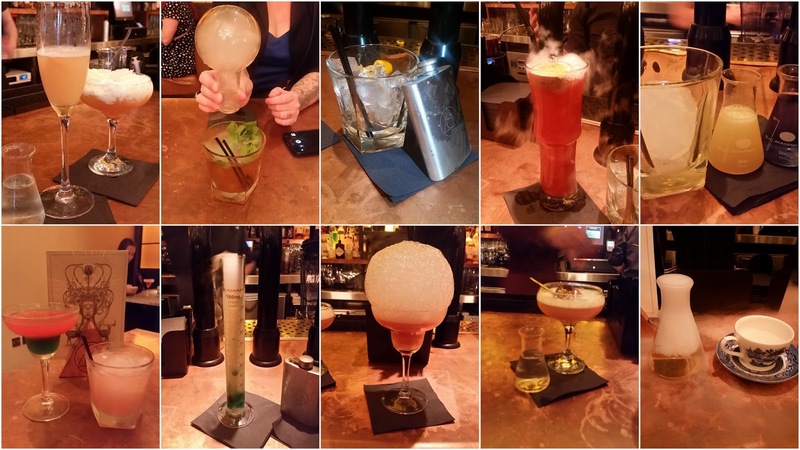 Disclosure: I was invited to the Alchemist Birmingham's Media Event. This review is written through choice and all the opinions expressed within it are 100% honest and my own. I would so love that! Hope they come to Liverpool!